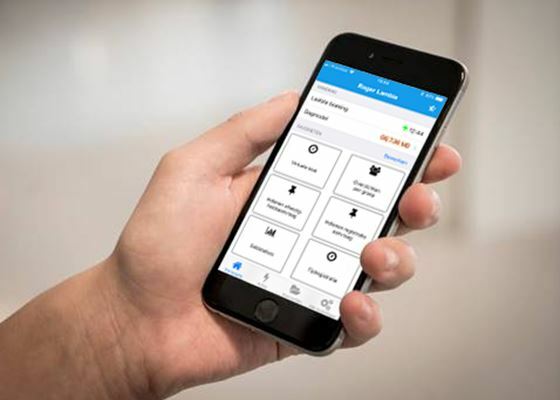 Emprova-Mobile is the app for time registration via your smartphone and tablet. It allows you to clock in and out with just a few clicks! But Emprova-Mobile can do more: manage your leave days, balances and calendar or submit certificates digitally. Thanks to adjustable workflows, all requests automatically reach the right people. The app automatically links to your personal Emprova account after a one-time registration. This means you always have the right data. Thanks to the device-related functionality, you can work quickly and safely on the go. No internet connection? No problem. As soon as you have network or Wi-Fi again, your offline time registrations will be synchronized. 100% automatic and extra handy for on the road. Save your HR department a lot of time from 95 euro/month. Because your employees are becoming increasingly mobile, an app to register their working hours is not an unnecessary luxury. In addition, you also want to check whether your employees are actually at the place of appointment. No problem with our app that automatically captures geolocation at every registration. Every employee has an overview of the balances, calendar and planning thanks to a personal login. Your personnel department will therefore no longer have to answer the questions "How many leave days do I still have?" and "Which workstation do I have next week? ", so that time is available for the important matters. Your employees can request leave days or forgotten registrations quickly and easily via the app. In addition, submitting certificates is also possible. Via adjustable workflows these actions are then approved and handled by the right people. Thanks to your organization's organization chart, there are different profiles with different authorizations. The available functions in the app automatically adapt to this. A manager can therefore approve requests from his own team, but cannot modify registrations, because that is something the HR department must do. You decide what someone can do and see and you can always adjust it. GPS uses a modular platform for the Emprova software. The module time registration is the basis. In order to use our app, the Self Service must also be linked. Besides that you can also link project registration, personnel planning and access control.